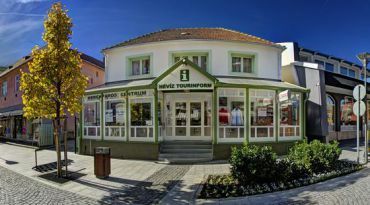 Tourinform Office in Hévíz is located along the main street of the city – Rákóczi. 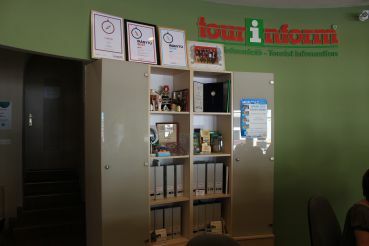 Each tourist can contact Hévíz Tourinform with any question regarding organizational issues while traveling around the city and surrounding area. Bicycle rent. Here you can rent a bike for free within the city limits, only by leaving the deposit. There is a charge for renting a bike for riding outside the city. Souvenirs. You can buy souvenirs for every taste right in the Heviz Tourinform building. 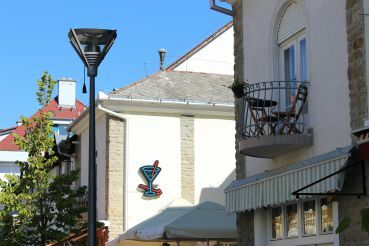 Free booklets, schedule of buses and trains, a catalogue with places to stay in Hévíz. Tickets for various events that are planned in the city for the upcoming days. Organization of cycling tours, walking tours, boating on the canal of Hévíz Lake (in winter) and so on. From Monday to Friday – from 9:00 to 17:00. 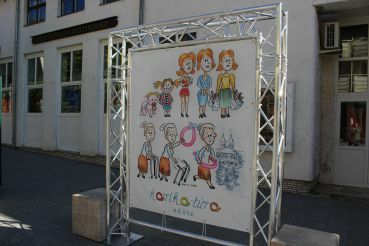 On Saturday and Sunday – from 10:00 to 15:00. 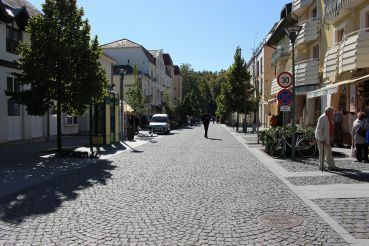 Heviz Tourinform is located on Rákóczi street, it is a central pedestrian street of the city.